Joe Lewallen is a veteran real estate and business attorney whose practice encompasses a broad range of complex business transactions with an emphasis on all aspects of commercial real estate development, including land acquisition, financing with debt and equity components, and development and construction of retail shopping centers, office buildings, hotels, and mixed-use projects. He has represented both landlords and tenants in the negotiation of leases, including ground leases and build-to-suit leases, as well as management and brokerage agreements. 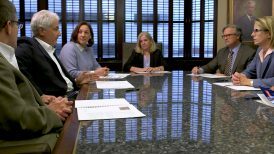 Joe has been involved in the negotiation and administration of various other real property development agreements, including master declarations, reciprocal easements, covenants and other similar instruments. His client list includes public and private companies engaged in broad and diverse kinds of industries, including real estate, energy, restaurant, data storage and food processing. 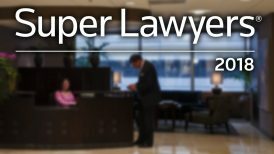 Joe’s achievements have earned him inclusion in the Chambers USA Guide to America’s Leading Lawyers for Business, Oklahoma Super Lawyers, and The Best Lawyers in America (commercial litigation; corporate law; mergers and acquisitions law; real estate law). 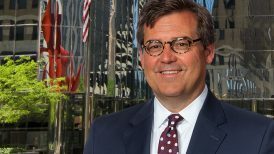 In 2013, he was selected by Best Lawyers as the “Oklahoma City Real Estate Lawyer of the Year,” an honor only given to a single lawyer in each legal specialty in each community. 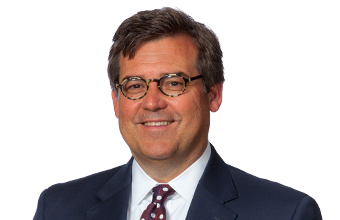 Joe currently serves on McAfee & Taft’s board on directors and previously chaired the firm’s Real Estate Group. 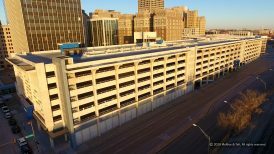 Represented Continental Resources, Inc. and BancFirst Corporation in establishing their special purpose joint venture SFPG, LLC, and SFPG’s purchase of the Santa Fe Plaza Parking Garage, downtown Oklahoma City’s largest municipal parking garage, from the Central Oklahoma Transportation and Parking Authority. Represented Tyson Foods and its subsidiaries in all real estate aspects of its acquisition of the poultry rendering and blending assets of American Proteins, Inc. and AMPRO Products, Inc. 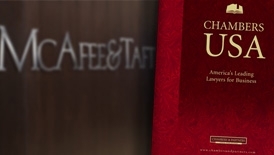 The transaction included the negotiation of all real estate documents, including ground leases and various easement agreements; complex curative title matters; and extensive review of title work, surveys and zoning reports for multiple properties across five states. Represented an international heating, ventilation and air conditioning company in connection with the negotiation of a long-term lease and improvements of an 80,000-square-foot building in Oklahoma City, Oklahoma, for the manufacturing and warehousing of HVAC components. Represented Royal Mfg Co, one of the nation’s oldest manufacturers and marketers of lubricants and greases, in the sale of its production facilities and other real estate assets in Texas and Oklahoma to an affiliate of Europe-based AXEL Christiernsson. Represented a publicly traded national retailer in connection with all aspects of the relocation of its corporate office headquarters to a Class A office tower in Houston, Texas, including the negotiation and preparation of a long-term lease and contracts for the design and construction of the new space and the negotiation of a sublease of an existing location. Represented the real estate development affiliate of a large publicly traded oil and gas service company in its divestiture of improved and unimproved real property as part of the company’s Chapter 11 bankruptcy proceedings and finalization of its plan of reorganization. Represented a real estate development company in its sale of 17 acres of infill urban real property located in Fort Worth, Texas, to the developer and operator of a high-end recreational and entertainment venue. 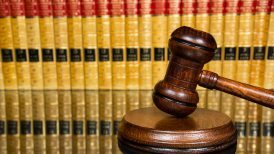 The transaction involved substantial replatting and other zoning and regulatory aspects. Represented a real estate developer in all aspects of a charitable donation of a 67,000-square-foot office complex to a statewide service organization that provides training, consulting and advocacy services to nonprofit organizations in Oklahoma. The transaction included public dedication of various infrastructure improvements and regulatory matters. Represented a developer in connection with the sale, via a modified auction, of a large corner parcel located at one of Oklahoma City’s premier retail intersections to a Tulsa-based real estate development company. Represented a real estate development company in its sale of 19 separate, non-contiguous parcels of improved and unimproved real property in Oklahoma City. The properties included numerous commercial office buildings, medical office space, high-end restaurant and warehouse space. Represented a publicly traded energy company in connection with certain aspects of the spin-off of a large segment of its business into a stand-alone publicly traded company. The transaction included all aspects of the real estate related portion of the spin-off, including the conveyance of title to numerous properties in several states and the subsequent grant of mortgages as a part of a large credit facility. The representation included the negotiation and preparation of certain conveyance agreements and all transfer documents in connection therewith, as well as a review of all title and survey matters including compliance with complex subdivision requirements triggered by the reconfiguration of real estate, and the preparation of numerous easements and shared use agreements. Represented a large publicly traded oil and gas company and various affiliates in the complex acquisition of more than 100 drill sites and other properties in Texas and Oklahoma. Represented one of the world’s largest suppliers of oilfield services, products, technology and systems to the global oil and natural gas industry in the acquisition of real property in Oklahoma and as local counsel in connection with a complex financing transaction involving approximately $100 million for the construction of a large manufacturing facility on the acquired real property. Represented the owner in the sale of a 20-story Class A office tower in downtown Fort Worth, Texas, containing approximately 410,000 rentable square feet on 14 acres along the Trinity River. The transaction included complex zoning, oil and gas leases, and easement matters and the transfer of the rights and obligations under a public-private partnership with the city of Fort Worth relating to real estate taxation, the negotiation of a rooftop antenna lease, and the drafting and preparation of all transaction documents. Represented a major developer in the sale of three upscale retail shopping centers and certain undeveloped property adjoining those developments in Oklahoma City and Nichols Hills, Oklahoma, to a publicly traded national developer of high-end retail centers. Represented a large Oklahoma-based development company in the sale of an infill site consisting of approximately 27 acres of unimproved real property located near downtown Fort Worth along the Trinity River to a large experienced developer for intended use as a master planned urban village, high-end mixed-use development as a part of a public-private partnership. Represented a large Oklahoma-based real estate development company in the sale of three multi-story office buildings and several parcels of property located in Oklahoma City, Oklahoma, to one of the largest privately owned banks in the United States. Represented client in the sale of three multi-story office buildings and adjoining undeveloped property located in Oklahoma City, Oklahoma, to a large privately owned company. Represented client in the sale of all of its membership interests in a company engaged in a high-end retail business, including other related aspects involving the existing members of the company. Represented multiple clients in the sale of all of the equity ownership interests in a restaurant business, as well as other related transactions involving the operation and management of the business. Represented Oklahoma real estate developer in all aspects of acquisition and development of upscale lifestyle center in Oklahoma City, including leasing and other operational aspects. Represented Oklahoma City-based shopping center developer and owner in connection with a complex build to suit lease to a large national grocery chain. Represented Oklahoma City-based shopping center developer and owner in connection with a complex build-to-suit lease to a large national retailer. Represented Oklahoma-based franchisor of quick service restaurants (QSR) in connection with all aspects of a build-to-suit lease for its new corporate headquarters. Represented publicly traded quick service restaurant chain in connection with the acquisition of dozens of parcels of real property in numerous states for development as company-owned restaurants. Represented Colorado-based quick service restaurant company in connection with numerous in-line leases in several states for its corporate restaurants. Represented various franchisees of retail businesses in all aspects of acquisition and leasing of real property. Represented clients in sales and acquisitions of unimproved and improved real property, including negotiation and documentation of purchase and sale agreements, title and survey diligence, regulatory compliance and land use issues. Representation of landlords and tenants in all aspects of commercial leasing transactions.